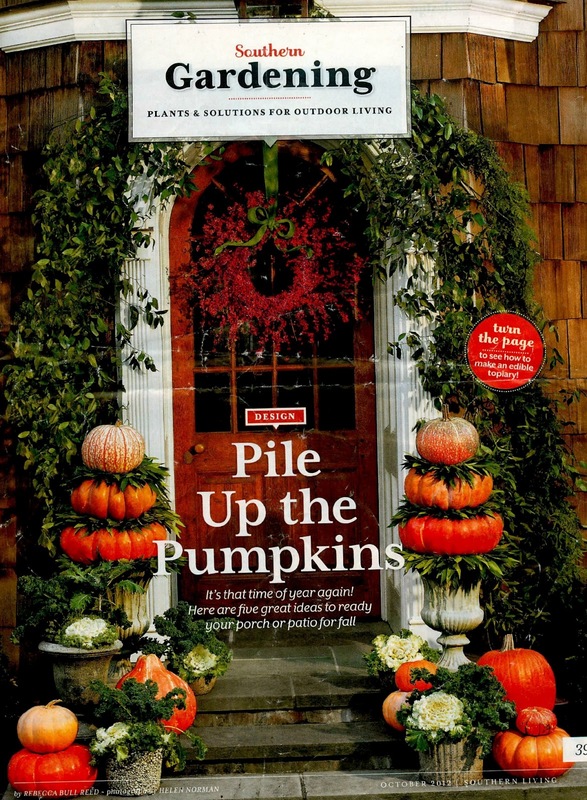 I love these "pumpkin topiaries" from the October 2012 edition of Southern Living magazine. I don't know what else to call them. It's a new, snappy way to display what is the quintessential symbol for fall. So here's my pitiful and shameless attempt to copy the cute topiaries. Don't judge. If, after looking at them, the Leaning Tower of Pisa comes to mind, please don't mention it. I already know. Oh wow! They look gorgeous! You did a great job on them and I like the red berries sticking out. These are fabulous! 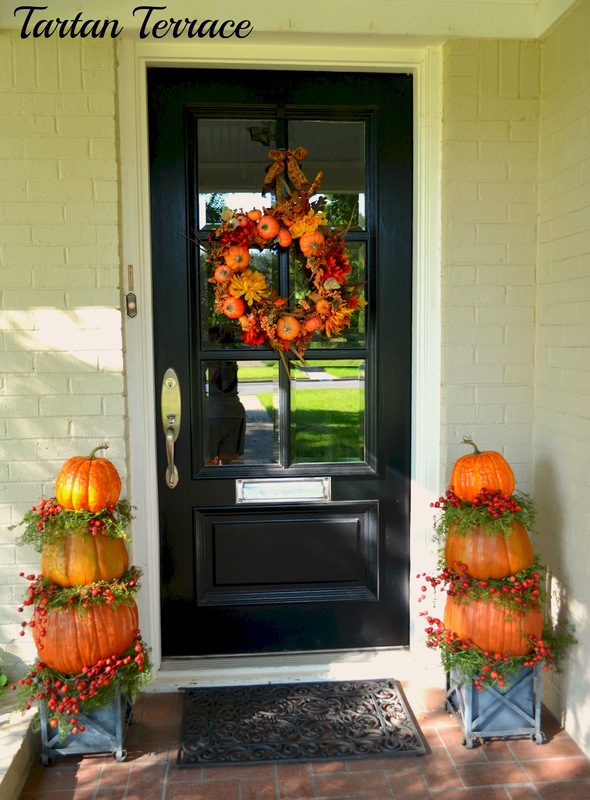 I love this idea and would like to add this to our front porch. Thanks for sharing. Happy Fall! Those turned out well. I like the greenery and berries in between them. Love yours! I love the blue boxes...yours have more personality ;) come link up to my blog party. I like your pumpkin topiary better! It's adorable. The pumpkin topiary looks fabulous! Thanks for joining the Open House party and I am now a follower. Take care! No leaning tower comments here! They look great! I've been toying with doing this, but it looks like so much work, and then I get lazy. I think they lean JUST RIGHT! Quite charming! One of my friends does this in her urns every Autumn! Love it! Love the pumpkin topiaries. They are perfect. I'm thrilled to have found your blog. I am a lover of the colors red and green with a little tartan thrown in for good luck. I am a fan.